Shiratori Sakuto is 28, but has the intelligence of a 6-year-old boy. He works for Dream Flower Service, a flower distribution centre which provides employment for problem youth. One day, he and a colleague, Yanagawa Ryuichi, delivers a rose bouquet to the apartment building where Mochizuki Haruka lives. Because Haruka does not know that the deliveryman is mentally challenged, she is shocked by his response and tries to call the police. Haruka works for a brain physiology research centre where Professor Hachisuka Daigo has been studying the improvement of mental performance. He has succeeded in lab experiments on a white mouse called Algernon. Sakuto is transformed into a genius through surgery. But Algernon's new intelligence begins to fade, and he dies. Sakuto realises that his genius, too, is destined to leave him. i love this drama! not only yamapi is handsome to look at, his acting is awesome. i really enjoyed watching it. Kubota Masataka in this drama is also awesome. the story is good. i had alot of tears and anger for this drama. 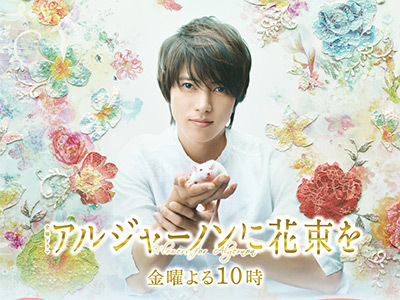 highly recommended to watch even if u r not yamapi's fan. 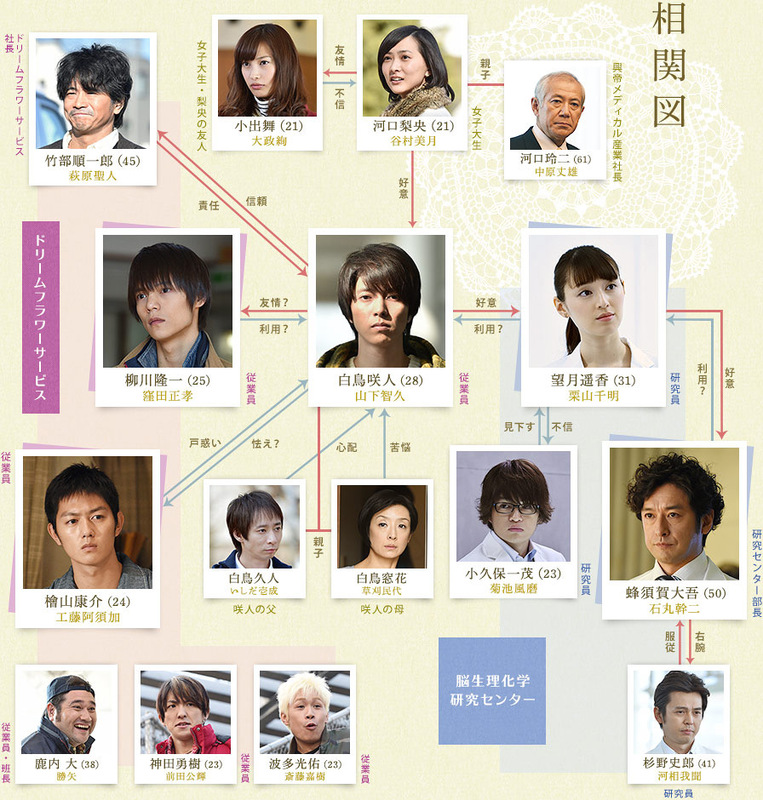 Yamapi really surprised with this kind of role but he did a great job. It totally destroyed the image of him being just a handsome guy.